The whole stretcher is made of stainless steel, which is smooth and firm. 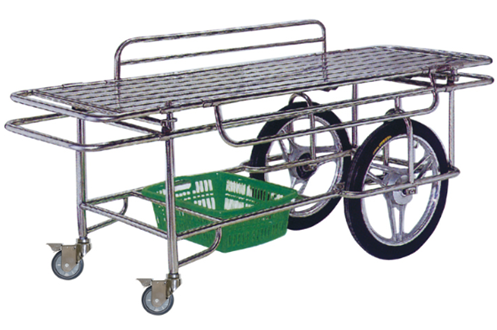 the stretcher is equipped with four different wheels. the two small ones are full braked and can be braked respectively. Under the automobile body has a case, but puts abundantly needs the goods.